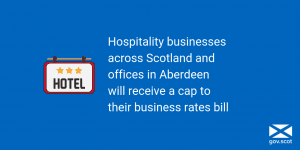 Having already benefited from the cap in 2017-18 and 2018-19, hospitality businesses will now see rates capped at a maximum of 12.5% in real terms each year until 1st April 2022. 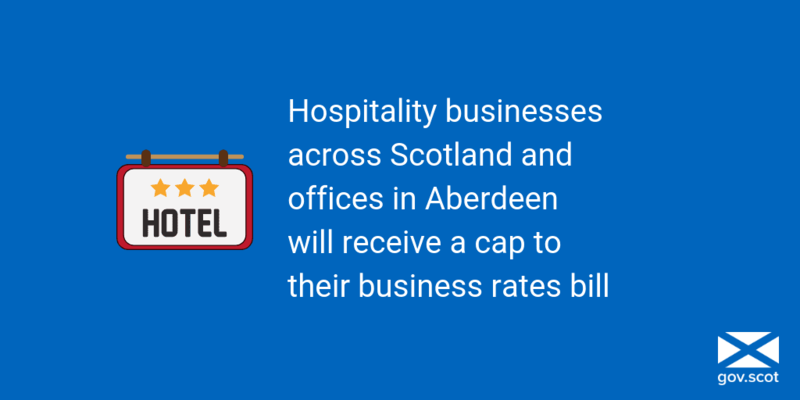 Offices in Aberdeen and Aberdeenshire will also see any rise capped at 12.5% in real terms, in recognition of the effect the fallen oil price has had on the local economy. 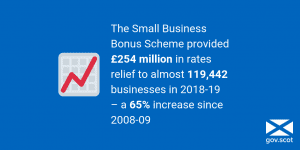 Energy Minister Paul Wheelhouse spoke at Ocean Energy Europe’s conference, highlighting the Scottish Government’s ongoing support for the marine energy sector, and Scotland’s achievements in marine renewables. The conference welcomed over 400 industry professionals from over 20 countries. 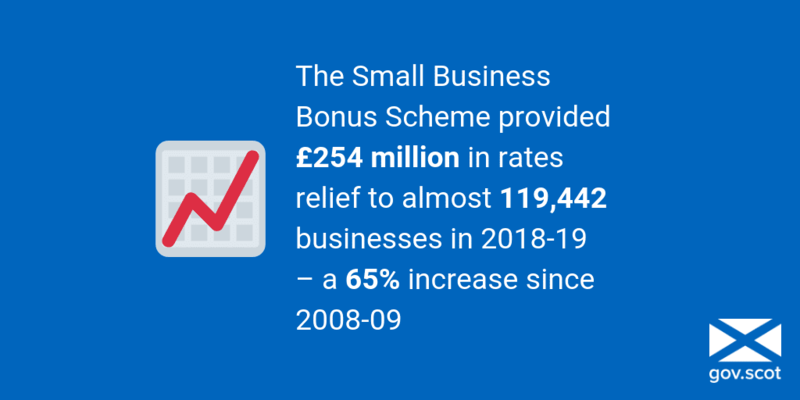 Statistics published this week by Scotland’s Chief Statistician Gary Gillespie show that the Scottish Government’s Small Business Bonus Scheme provided £254million in rates relief to almost 119,442 businesses in 2018-19. 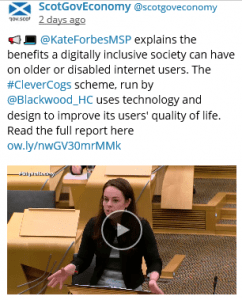 Minister for Public Finance and Digital Economy explains the benefits a digitally inclusive society can have on older or disabled internet users. The CleverCogs scheme, run by Blackwood Homes and Care, uses technology and design to improve its users’ quality of life.